(Singapore) Praise and worship, hymns of thanksgiving echoed through Novena Church (also known as the Church of St Alphonsus) as many faithful gathered for the opening and blessing on Wed 25 Oct.
Before Mass started, early birds were treated to specially-produced videos on the works of the Redemptorists, the redevelopment of the Church and the Novena Church corporate video highlighting the New Vision and Mission of the Shrine accompanying the new Church. 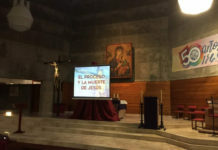 This was followed by recitation of the holy rosary in 5 different languages. 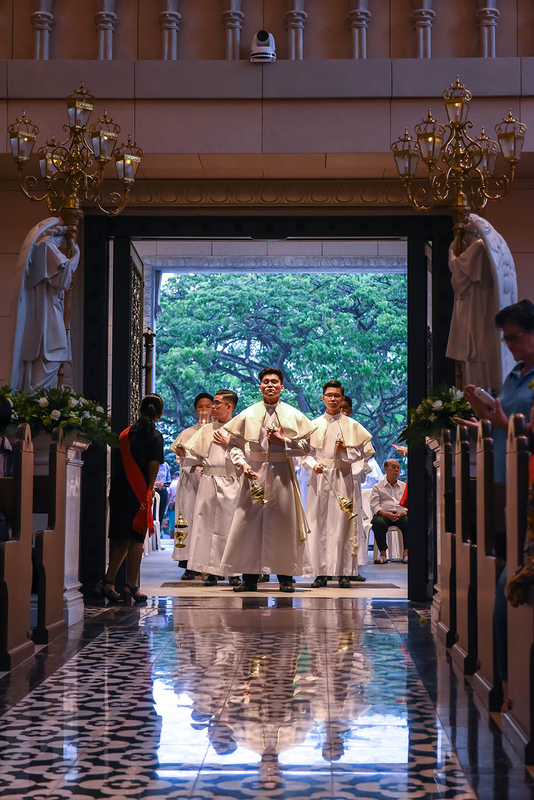 The Mass began with the greeting, after which the faithful observed respectfully as the main celebrant, the Archbishop of Singapore William Goh, blessed the altar, the walls of the Church and the plaque at the foyer with holy water. The Church is known for its Novena sessions, with many believing in the intercession of Mary. 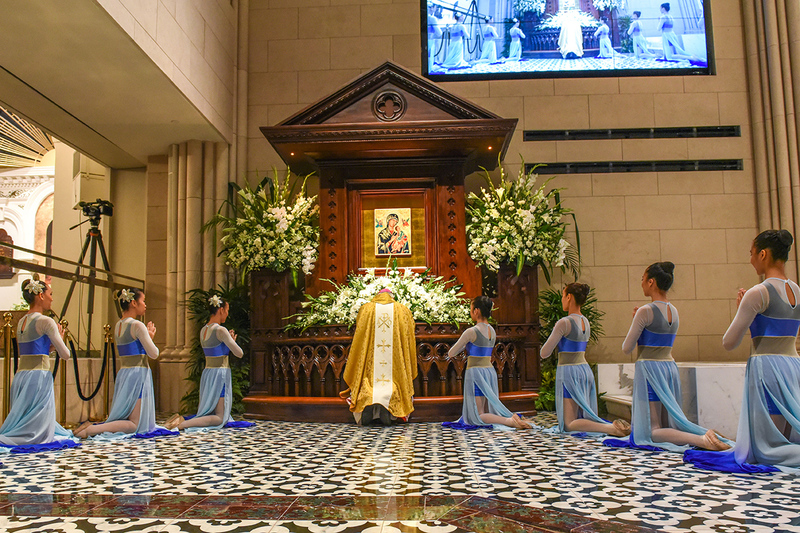 It is the only Church in Singapore that provides multiple Novena sessions – held in her honour. 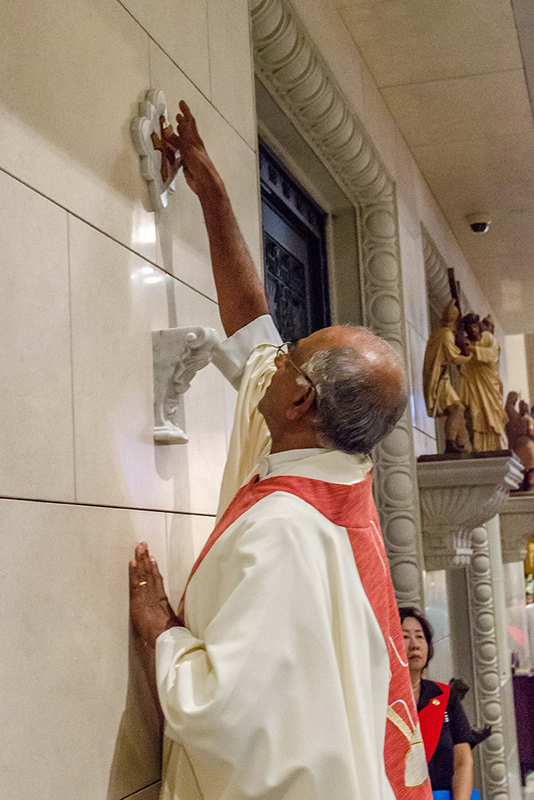 Following the Litany of the Saints, the Rite of Blessing began with Archbishop Goh interring a first-class relic of St Alphonsus; a bone from the beloved saint, into the cavity of the main altar table. He then anointed the altar with chrism and incensed it. The altar and sanctuary light were then lit, followed by the lighting of the Church. 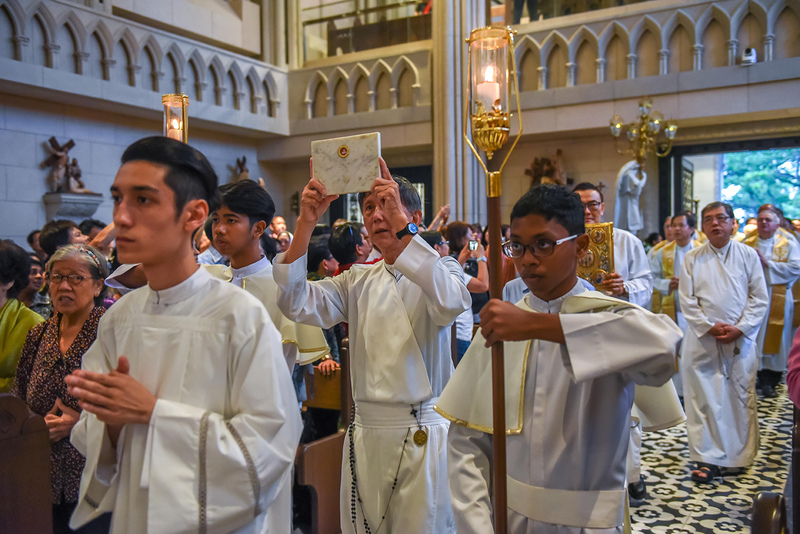 At the close of the Mass, Archbishop Goh offered the Book of Consecration –which contains the names of benefactors, sponsors, workers who built the church, families who come to the Novena, and all the Redemptorists who have served in the Vice Province. 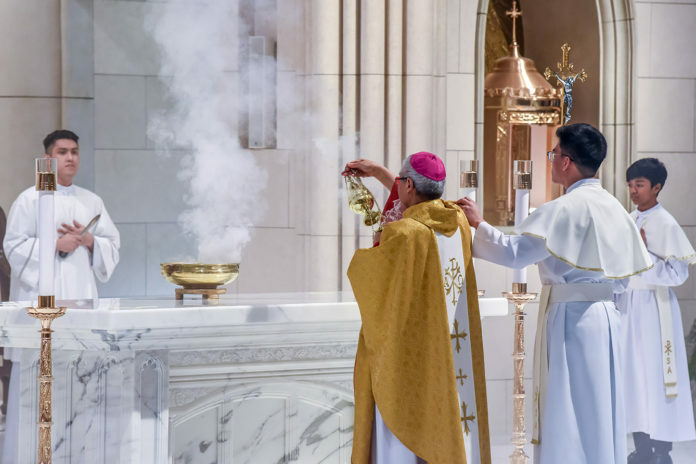 He then blessed the Shrine, as Rev. Fr. Patrick Massang sang “Icon of Love”, a song that he specially composed for the occasion. 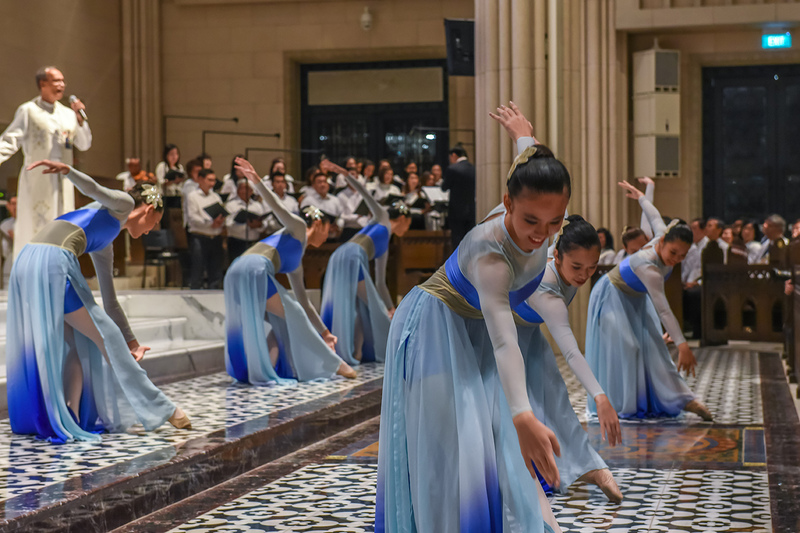 This was accompanied by ballet dancers from the Singapore Dance Company. 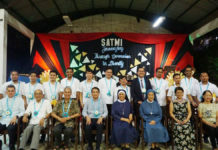 The celebration was also attended by the Apostolic Nuncio in Singapore, Archbishop Leopoldo Girelli, Members of the Singapore Parliament Mr Teo Ser Luck and Mr Melvin Yong, as well as Mrs Olivia Menon, wife of the Chief Justice Sundaresh Menon. Guests also flew in from Spain, Italy, Australia and Malaysia. 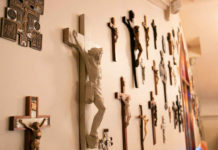 The church was closed for nearly three years for an extensive overhaul. It was opened on 29 September.